Walt Disney himself once said, “Disneyland will never be completed. It will continue to grow as long as there is imagination left in the world.” Disney World is certainly continuing in that tradition! As the end of the year approaches, we’re reflecting on 10 major changes the Walt Disney World Resort underwent in 2018. This summer welcomed Buzz, Woody, and the rest of the toys as the newest residents of Disney’s Hollywood Studios! 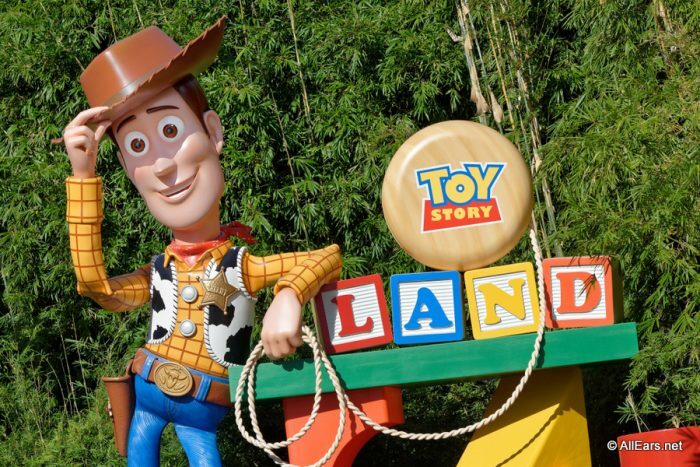 Toy Story Land opened in June, and features two new attractions, merchandise locations, and a new quick service dining spot. The fan-favorite, Toy Story Mania, also got a brand new entrance starting in the new land. Our favorite of the new attractions is the Slinky Dog Dash, a family friendly roller coaster that Andy built in his backyard. The entire land is built to shrink you down to the size of a toy, and is constructed of Kinex, blocks, popsicle sticks, dominoes, and more! Toy Story Land was a highly anticipated addition to Hollywood Studios, and it certainly lives up to the hype! Welcome to Toy Story Land! It’s no surprise that Disney Springs has become a hot spot for dining at Walt Disney World. And in 2018, several new locations opened their doors! 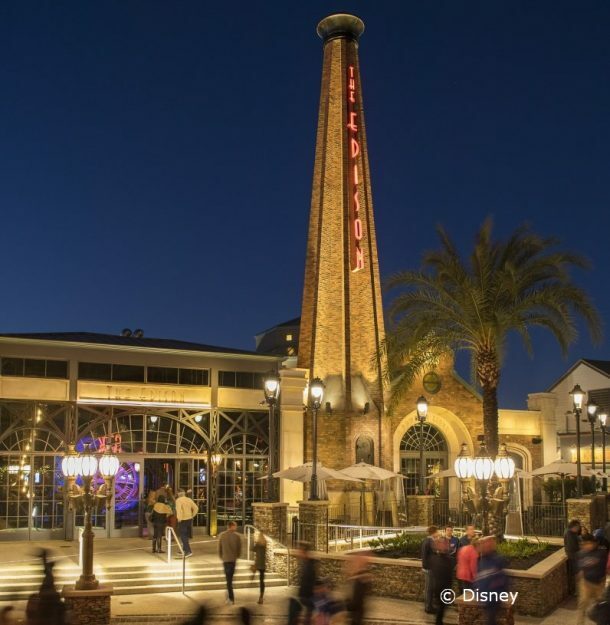 Opening on January 1, The Edison was the first new addition to the Springs this year. The Edison is an American restaurant and bar, themed after the 1920s industrial era. It features classic American dishes, signature craft cocktails, and live entertainment. Wine Bar George was the next to arrive at Disney Springs, opening in May of this year. Wine Bar George is brought to you by Master Sommelier George Miliotes, who invites you to enjoy a wine list of more than 100 varietals, as well as shareable plates. Terralina Crafted Italian took up residence in the former Portobello location in June, with James Beard Award-Winning Chef Tony Mantuano. Terralina welcomes you into an Italian lakeside home, serving fresh dishes featuring homemade pasta and classic Italian cocktails, complete with a large veranda bar. In August, Chicken Guy! opened as Disney Springs’ newest quick service restaurant. Chicken Guy! is brought to you by restaurateur Robert Earl and Food Network personality Guy Fieri, and features all-natural chicken tenders with over 20 sauces! And in November, famed chef Wolfgang Puck brought back a table service concept to the Springs. Wolfgang Puck Bar & Grille reminds us of an upscale barn inside, and strives to partner with local farmers as often as possible to create their modern twists on American classics. A Gelato Bar, serving through an outdoor walk-up window, completes the new establishment. Wow, that’s a lot of new eats for one year! Play Disney Parks is an app designed to turn your wait time into play time at some of Walt Disney World’s most popular attractions. 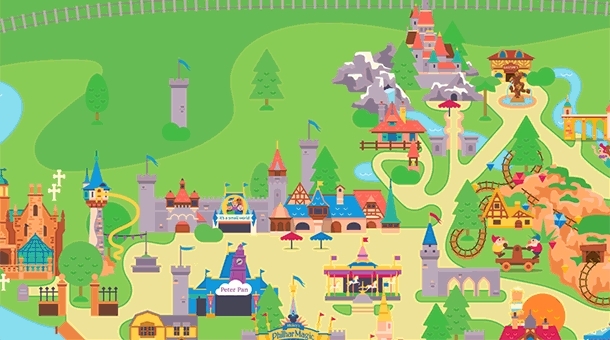 Available through the App Store and Google Play, the free app features group play so the whole family can join in on the interactive experiences, including “Off to Neverland” at Peter Pan’s Flight at Magic Kingdom and “Andy’s Boardgame Blast!” at the new Slinky Dog Dash coaster at Disney’s Hollywood Studios. There is also a Disney Trivia feature, so your group can see if you have what it takes to become Trivia Masters, all the while discovering fun facts about the parks! The more you play, the more the app unlocks — and some features even work at home so the magic doesn’t have to end! Did you know that an estimated 200+ pairs of sunglasses are lost at Walt Disney World every single day? This year, Disney rolled out major updates to its Lost and Found system to make returning your items even easier. If you lose something at one of the Disney theme parks or water parks, Disney Springs, ESPN Wide World of Sports, a Disney Resort hotel, or riding Disney transportation, simply go to DisneyWorld.com/lostandfound to fill out a form with details about your lost item. You will receive updates via email, and be contacted if Disney believes your item is found. Simple! For day-of lost items, you can still visit that location’s Guest Relations. While 2018 said goodbye to “Disney Junior – Live on Stage!,” at Disney’s Hollywood Studios we also welcomed new Disney Junior experiences for your littlest Mousketeers! The puppet-show will be replaced by the all-new “Disney Junior Dance Party!” which is a high energy, interactive concert! Debuting December 22, 2018, the new show features live character appearances from favorite Disney Junior shows such as Doc McStuffins, The Lion Guard, Mickey and the Roadster Racers, and Vampirina. 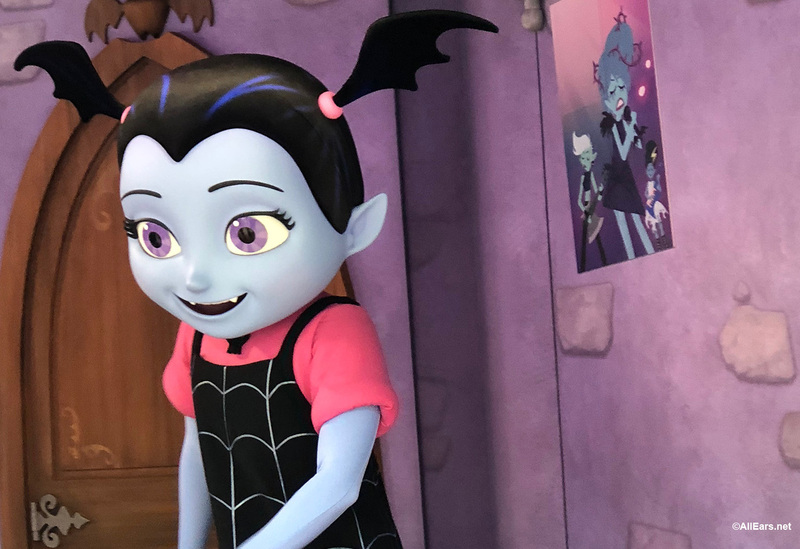 And speaking of Vampirina, the Disney Junior star is the newest meet and greet at Disney’s Hollywood Studios! She appears in Animation Courtyard, alongside Doc McStuffins and Princess Sofia, where your little ones can grab a photo and autograph with their favorite goulish girl! In the summer of 2017, Walt Disney World debuted its new Minnie Van Transportation Service. Originally, Minnie Vans were only available within property limits and only for resort guests. However 2018 updated both of these restrictions. Thanks to a partnership with Lyft, Minnie Vans are now available to all WDW guests through the Lyft App. Guests need to simply open the app anywhere on property and select the Minnie Van service option. You will then confirm your pickup location, set your destination, and click “Request.” It’s that easy! Minnie Vans are available from 6:30 a.m. to 12:30 a.m., can seat up to six guests, and come equipped with two car seats. Pricing varies by distance traveled, and can be viewed in the app. The other big change to the Minnie Vans, is that service is now expanded to include the Orlando International Airport. Reservations for the airport pickup or dropoff must be made by calling (407) WDW-PLAY. More information about the airport shuttle service can be found here. 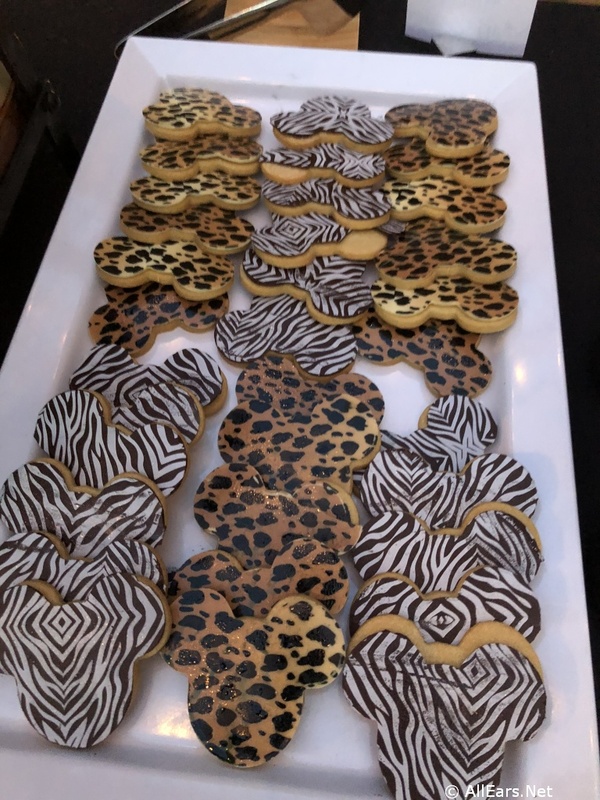 Following in the footsteps of IllumiNations, Fantasmic!, and Happily Ever After, Rivers of Light debuted a dessert party offering in August 2018. The party begins an hour before Rivers of Light at the terrace across from Expedition Everest. Here guests can enjoy a buffet of exclusive specialty desserts, snacks, and drinks — alcoholic and non-alcoholic. VIP seating is included with the party, and you will be escorted to your exceptional seats shortly before the show. The Rivers of Light Dessert Party is $79 for adults and $47 for kids (ages 3 to 9) and reservations can be made online at www.disneyworld.com or by calling (407) WDW-DINE. Beginning in October, Disney changed how it prices tickets. Now, each day of your trip could have a different cost based on a variety of components. Day of the week, predicted attendance, and time of year are all contributing factors into that day’s cost. For example, mid-week days during a slow time of year, will cost less than say, a Saturday during the summer. The interactive calendar on Disney’s website shows entire months at a time, so guests are able to select the time of year that works best for their visit and budget. Add-ons such as the Park Hopper option are still available for a flat-rate price per ticket. 1 complimentary parking space is available for guests staying at the Fort Wilderness campsites. In addition to overnight resort parking, daily parking fees at the parks went up. As of October, standard parking is $25 a day, and preferred parking is $50. Disney annual passholders and resort guests do not have to pay for standard parking at the parks. More details on parking at the theme parks can be found here. My Disney Experience rolled out some new enhancements that help make your vacation even more magical! The first of these, is the Bus Times Feature. When you’re at a Disney resort, you can use the reservations page on the app to find a link to Bus Times. The wait times will update automatically, so you can gauge how quickly you need to head to the Bus Stop. Currently, this only works from the resorts to the parks, not the reverse, but we wouldn’t be surprised if that’s up Disney’s sleeve! Another update to MDE is the “unlock door” feature. You can now use the app to open your resort room. Simply go under your reservations, select “unlock door” and hold your phone up to the touchpad on the door. Voila! Your door will click open. Mobile ordering through MDE also received some enhancements. As of January 2018, you can now use your Disney Dining Plan, in addition to debit and credit cards. Currently, more than 20 restaurants in the theme parks and Disney Springs offer mobile ordering. 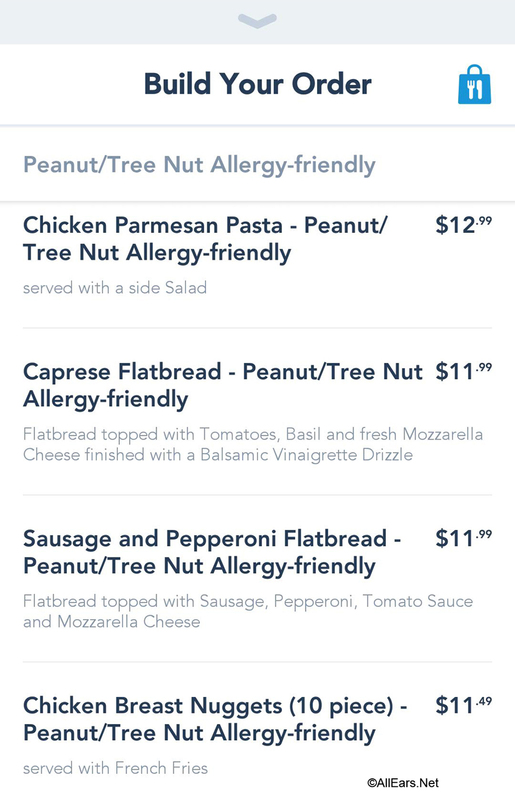 Also new in 2018, are allergy menus in the app. As you scroll through the menu options, you will now find sections designated for the big eight allergies: wheat/gluten, milk, soy, egg, shellfish/fish, and treenut/peanut. These changes to the mobile ordering feature continue to enhance the ease of your dining experience. That’s a lot of change for one year! 2018 has been a great one for Walt Disney World, and we can’t wait to see what’s new in 2019! 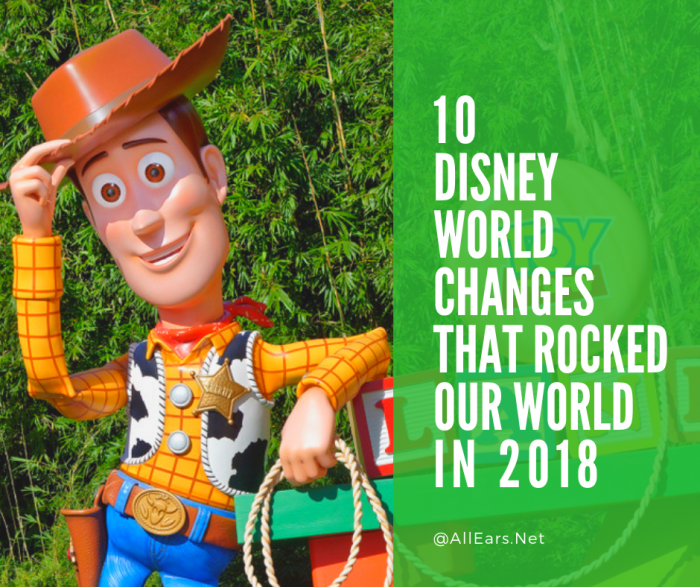 What changes have you seen at WDW in 2018? Tell us in the comments! Don’t forget to sign up for our free weekly newsletter here for all the latest news, tips, tricks, and updates! My family loves going to Disney World. Can’t wait to se Toy Story Land and Star Wars Land. But I think it’s an absolute joke Disney World is charging for parking at the resorts. We are already paying a lot of money to vacation there and now they are wanting more money. Shame, Shame. Just curious. Is there a point where you will say, “that’s enough, it’s just too expensive to keep going back.” Cause, sadly, I do believe I’ve already reached that point. Wow!!! Ken must be my brother from another mother!!!! I am in total agreement on nearly every item. Almost. Where we part ways is Toy Story land and Disney Springs. They took away so much from the park to make Toy Story land – Lights, motion, Action, whatever Stunt show, Backlot studio tour, streets of New York – the Osbourne (sp?) Spectacle of lights show, to name a few and gave us two new attractions and a snack bar. While we do love Slinky Dog Dash, that is the only plus we see out of it. And how much Star Wars “things” are enough? Does everyone but my family like Star Wars? Make a new park just for Star Wars then. Might thin out the crowd for the rest of us. And the prices? Well, I guess not everyone has a budget. And not only do I not want to spend all day looking at a phone app, but everyone is walking around looking down at their phone, and apparently, wanting to walk squarely into me no matter where I go. People, look up and around at everything you’re missing!!!!. And don’t get me started about watching a show or the castle projections where I have everyone in front of me with raised hands and phones in the air. It’s like 500 night lights distracting me from the show which I can see 60% of due to their filming. Doesn’t anyone just watch and remember? There are, so my sons tell me, full coverage on YouTube of just about every show. No need to make 8 million more copies. Okay, I was getting carried away and hot under the collar just thinking about! Anyway, if those were top ten, I wonder what the bottom ten look like? Dan, how’s the winter up your way, so far? Actually, I agree with you on the Toy Story Land. My rating was based on the fact that most of Hollywood Studios had already been gutted, so at least they did something. And you can add my family to the ones who can live without Star Wars. “Watch and remember”. A concept today’s youth is unfamiliar with. Winter came early…snow covers the ground and I do not think it will leave until spring. We leave next Saturday for WDW…being DVC folks, we have our next 4 trips planned. I hope it is not too too crowded. We really look forward to the Candlelight Processional. Didn’t know if we would enjoy it, but this year will be our fourth time. We are going to try fly down each December so we can partake. I’ll agree that these changes and additions rocked the WDW. However, a “rock” can be a shiny diamond or a dull lump of coal. Toy Story Land – DIAMOND. Despite coming way too late in the game (the original movie is now 23 years old) it is a real major addition. Dining In Disney Springs – DIAMOND. Anything that replaces the nightclubs and the local teen takeover of what was Pleasure Island is all right by me. And although they are to many restaurants compared to shops, I do like the quality and variety of the eateries. Play Disney Parks App – COAL. Call me an geezer, but the last thing I want to do at WDW is to stare at my phone. Hey Disney, How bout put some effort into reducing line waits instead of a cheap distraction. Lost and Found – COAL. 98% of the population looks like complete dorks in sunglasses. Disney would be doing them all a solid by just giving them to the American Glaucoma Society. But seriously, is this what Disney really needs to be spending their money and resources on. Junior Experience – PASS. I’m a hundred and seventeen years old and my kids have kids, so I’ll let all you soccer moms rate this one. Minnie Vans – DIAMOND/COAL. Whereas I certainly like more transportation options, here we go again with the needing a phone and an app. Dessert Party – COAL. $79 for cookies. This is a bigger cookie extortion ring than the Girl Scouts. Date Based Tickets – COAL. This is the last nail in the coffin of non-crowded days. Enjoy 365 days of crowded chaos forever more.